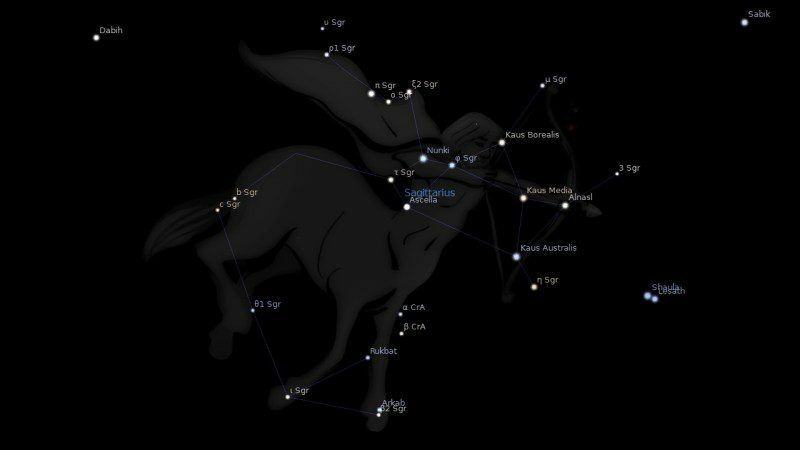 Fixed star Nunki, Sigma Sagittarii, is a 2.1 magnitude star on the vane of the arrow of the Archer, Sagittarius Constellation. The traditional name Nunki means Open Sea in Latin, deriving from the Chaldean expression: The Edict of the Sea. Pelagus, alias Nunki is σ Sagittarii, at the rear end of the arrow in the Archer’s bow…it is one of the brightest in this generally faint Constellation. The Latin name, given first here, means the Open Sea, while Nunki is a word of Chaldean roots, all that is left to us from a longer expression: ‘The Edict of the Sea’. When we come to Pisces we shall find another star, Kullat Nuni, with very similar connotation, but perhaps more to be expected there in the watery Constellation of the fishes. 2. The Living Stars, Dr. Eric Morse, p.95. 3. Star Names: Their Lore and Meaning, Richard H. Allen, 1889, p.359. 4. The Fixed Star Health and Behavior Imbalance, Ted George and Barbara Parker, 1985, p.124. What about Nunki with South Node? Jamie , Could you please give me answers for my three questions please ? Firstly , what’s the astrological explanation on when many people die at the same time , such as airplane crash or in a warfare ? Secondly , I have two twin aunts who are very different than from each other . Thirdly , what happens to those people in prison for a long term ? For instance , Aries Cancer Libra Capricorn people , there is no much happening to them , is it ? 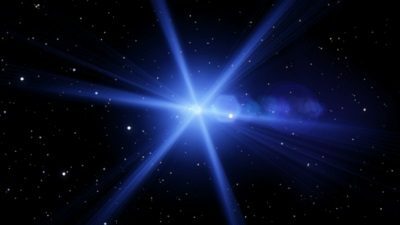 Fourthly , ( Sorry , it became four but please ) It seems to me that people have fear and cautions about Grand cross on 23rd . I think it’s best to surrounded yourself to it rather than cautions about it ?! Maybe it’s not a good thing to become too much into astrology . Imagine , if we never knew about it then we would move as forward as naturally rather than cautions and fear about it . Please Jamie don’t get me wrong though I respect you fully . It’s just a bit of wondering questions that i’d like to know your opinion and intellect . My Mum’sgot this star conjunct her natal Mars. She’s become very religious the last 15 years. She can also be quite reserved and reflective. You have more than your average amount of major fixed star conjunctions Dahlia. Just take it one step at a time. Start with AC, Sun and moon then work your way out through the planets. Look at aspects first then add fixed star interpretations on top. Dheneb will bring out the more positive side of Venus conjunct Saturn because it is a Mars/Jupiter star, energetic and successful. You should have a look at Brady, Bernadette, Star and Planet combinations and get acquainted with parans. It is a babylonian technique , far more precise than just prjecting stars to the ecliptic. Cool, my sun is conjunct nunki. I’m a flight attendant, it’s a very political industry and quite militaristic. My mom always said I should’ve been an actress or in the military… I asked her what she thought my job is like now. Haha! !